We are 1 hour and 15 minutes from Liberia airport and 3 and half hours from San Jose airport. Almost all major airlines in the world fly directly or with a connection to both airports in Costa Rica. We do recommend flying into Liberia as it is a shorter drive following your flight and also a brand new airport that was built to accommodate a lot more flights than it is today. So things are usually pretty smooth. The rental car companies are right outside the airport and usually provide shuttles from the airport to their main office. You should call them to arrange this shuttle before you arrive. There are many restaurants in Guanacaste and a high variety of foods too. The best authentic Tico food can be found at any local restaurants called "Sodas". And in most towns you will find the classics such as Italian food, Hamburgers, Pizzas, even Chinese food... Because there is so much choice, we are only listing here our favorites but don't be afraid to try out others and let us know what you've found. Sprout - right before Tamarindo, try the Harissa and lime red snapper sandwich!!! CoutryHouse in Santa Cruz - sometimes the fruits and veggies selection at Maxi Pali isn't the best so we go there after Maxi Pali to get those. They have a great selection, the prices are fair and the quality excellent. 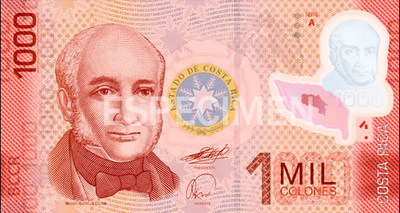 Costa Rica uses both Colones and US dollars. 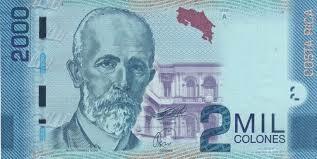 But the exchange rate in some places is very subjective hence it is better to carry both currency on you all the time. 1,000 colones roughly equals 2 US Dollars. But make sure to check the exchange rate as this fluctuates quite often. Most established business will accept major credit cards such as gas stations, some restaurants, hotels, car rental, supermarkets... but for example, I would not assume that a canopy tour or a surf shop has a credit card machine. The best strategy again is to have Colones, Dollars and Credit Cards all the time. Most US credit cards also won't charge a fee if used in Costa Rica. There is a change station at Liberia airport passed immigration but before custom. This would be a good place to get some cash. Lots of place in Costa Rica still use only cash. If you see that an establishment accepts both credit cards and cash, ask for the "efectivo descuento". There are banks in most major tows: Santa Cruz, Tamarindo, Flamingo, Liberia, Nicoya... But you will hardly find a bank or an ATM anywhere between those major towns. Electricity: one way to protect our environment is by being very conscientious about our energy use. One way to help is to make sure the AC isn't running when it is not needed. 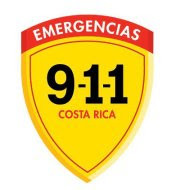 The AC units in Costa Rica run independently from room to room and take seconds to cool down a room. So unlike a central AC, there is no need to run the AC when no one is present in the room. Water: the water on our property is potable and comes from our own aquifer, well and pump. For this reason, we are very careful about the way we treat our environment. Trash: the process of minimizing trash starts at the store. By being conscientious about what we purchase, we can actually manage to reduce our trash by 80%. The remaining 20% is usually burnt. The CO2 created by our fires is easily offset by the number of trees on our property, which take this CO2 and turn it into oxygen. What cannot be composted, burnt or recycled unfortunately has to be thrown away into a landfill somewhere., which we do everything we can to avoid. Security: Fabrice and Miho live on the property as well as our dogs who have been trained since they were babies to protect our family and our guests, although their intervention has never been required. Rental car: we STRONGLY recommend a 4x4 so you can travel around the region or country without any difficulties. 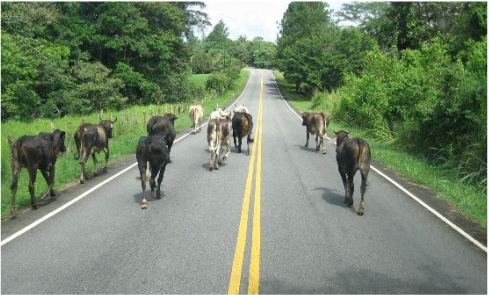 We also recommend taking the insurance because the roads here are full of surprises (animals, bumps, puddles, branches etc...). Also ask them to give you a map of Guanacaste. Driving tips: 1/ drive slow because you will often have to pass animals, pedestrians, bikers and many other surprises 2/ avoid puddles because most of the time you won't know how deep they are 3/ if you are not sure ask, locals are very friendly and will happily help you with anything. Gas Stations: our strategy is to always fill up when we see a gas station. These can be hard to find in our area. There are several gas stations in Santa Cruz. There is also a gas station between Villareal and Huacas. Those stations are usually open 7 days a week, but again it is better to be safe than sorry, so try to always stay at least half full. Police stops: always have with you a copy of your passport and a copy of the page with the stamps that shows when you entered the country. A copy of your return ticket (although not necessary) is also a good thing to have to show that you intend on leaving the country within 90 days. Swimming: there are many beaches on the Pacific coast that have strong currents. 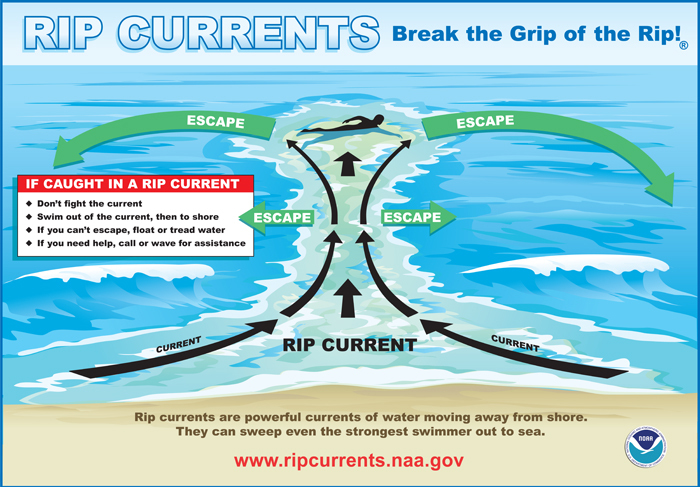 It is good to educate yourself on riptides and how to get out of a rip current if you happen to be in one.